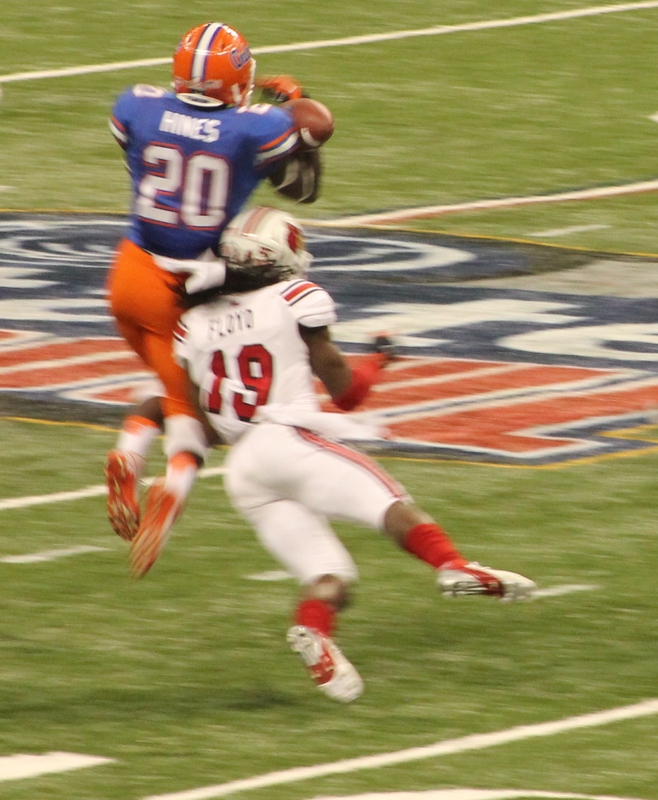 We end the Sugar Bowl series with another sequence of action shots I captured at the Sugar Bowl. 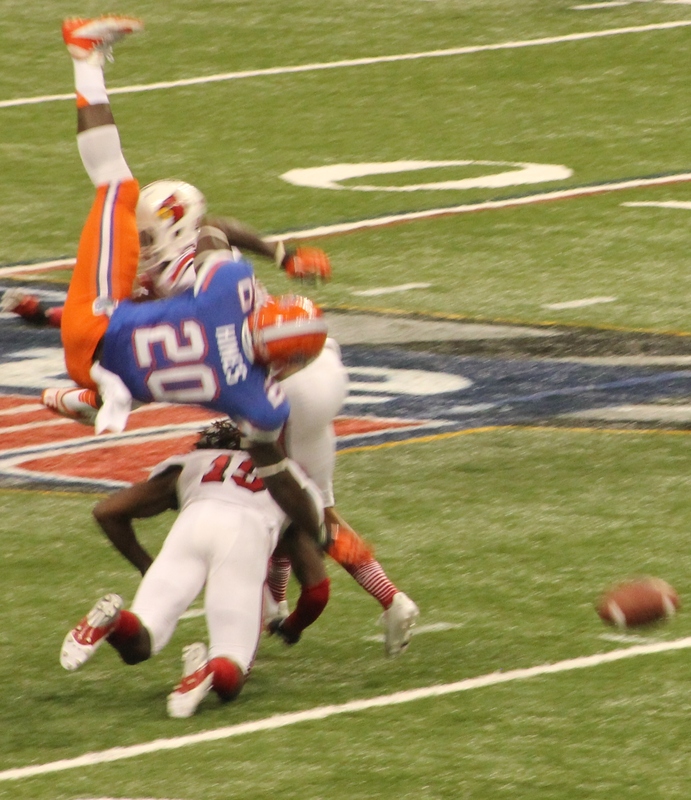 These pictures feature Gator Wide Receiver with an acrobatic attempt of a reception in mid-air and as you can see… quite well defended by the Cardinals. Overall, these are not my best shots, but i am my worst critic also. Next up, I try my hand at concert photography with a photo exhibition of punk band Hot Water Music.